Among the Maasai people girls are married at age 12 or 13, and sometimes even earlier. When a girl is married, her husband or his family pays a dowry of several head of cattle. Therefore, a girl is valued for the wealth she can bring her family. Many Maasai parents don’t see education as important for girls, so few attend school. 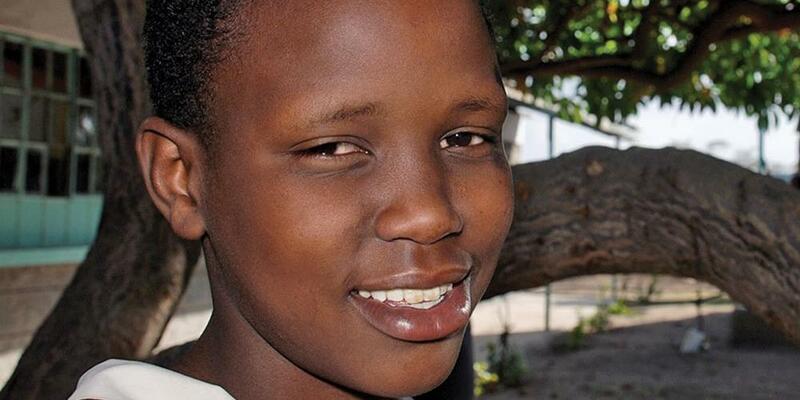 Often girls are rescued from early marriages and taken to a boarding school where they will be safe and can study. Only after parents see the benefits in their daughters learning to read and write will they agree to allow her to stay at the school. The headmistress walked with Naeku across the courtyard toward another building. Naeku could hear children chanting a lesson loudly in unison. She wasn’t sure what the chanting meant. They entered the room, and Naeku stared at her bare feet as the headmistress introduced her to her new teacher and classmates. The simple concrete block building was filled with simple wooden benches and desks, but Naeku had never seen anything so fine! Naeku quickly grew accustomed to her new home and new schedule. She loved school and quickly caught up with the other children. But during quiet time at night she often felt a bitter lump of loneliness rise up within her as she thought of her brother, alone in the family hut, and her little sister who lived with their aunt. Often when she thought no one saw her, she wept quietly. She wished they could study and have a better life, as she now did. Naeku loved her new school, where she learned to read and write and to love God. But she missed her brother and sister. During school break, Naeku was allowed to return home for three days. She was happy to see her brother and sister again and happy to know that her brother was attending school too. However, he had to walk many hours every day just to get to school, and often he was hungry. As she learned more about Jesus, Naeku realized that she could take her worries to God. She began asking God to help her brother and sister have a better life. In time Naeku’s father realized that he couldn’t properly care for his children. He allowed his son to study at another boarding school. And when Naeku’s little sister arrived at the Adventist boarding school, Naeku’s heart almost burst with joy! Naeku remembers how afraid and homesick she was when she first arrived at the school. It took time to understand that the school is her home, where she is loved and protected. So when a new girl arrives at the school, Naeku befriends her and helps her learn the routine. “I try to help them because I remember how lonely I was when I first came,” she says quietly. The students learn responsibility by washing their own clothes, keeping the campus clean, and by caring for a single plant. And during morning and evening worship and on Sabbath the children learn that Jesus loves them and wants the best for them. In time they learn to love Jesus as well. “I’m so glad that Jesus brought me to this school,” Naeku says shyly. “Here I have learned to love Jesus, and I trust Him to keep me safe. Now I know that it was Jesus who saved my brother and me from the cheetah when I was little.